Lot Size: 18000 sq. ft. 150ft x 120ft "Rectangular"
SELLER IS MOTIVATED! Check out this quiet residential area in the Village of Stockholm - 1 3/4 character home on 3 Lots, (150'x120').Stockholm is one of the very few communities that offer so much yard space which you are sure to enjoy! This home comes complete with an East-facing deck, accessible by wheelchair, storage shed, fire pit area & detached 1 car garage. The Lot which the house is on features an asphalt single drive, with plenty of available parking on the South Lot. Interior of this character home gives you an instant feeling of comfort & relaxation. An open concept dining, kitchen & living room makes family visiting second to none! Enjoy the spacious master bdrm, neatly tucked in off the livingroom. An updated 4 pc main bath and foyer is also featured on main floor. 2nd storey: you will enjoy the size of the 2 bdrms with deep hall closet.Basement area offers great living space as well with finishing work to be completed. It has a rec room area, bdrm with 1-3 pc bath and laundry storage area in the utility room.If its a character home you are looking for, this is too cute to pass up! More info: Monthly costs: insurance $117.50; water/sewer (every 3 months $105; Sk Power (equalized) $81; Sk Energy $55 equalized. Home inspection has been already completed and the Seller has tended to the repairs so it is ready for you! Your listing agent is excited to show you your next home - Call your listing agent today to book your personal viewing and to get more information on this unique character home! 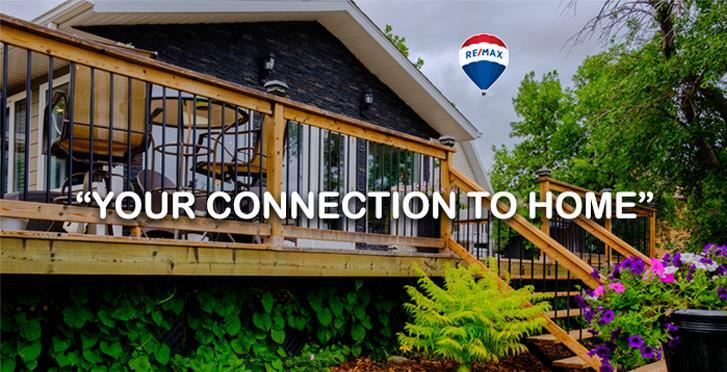 Call "Your Connection to Home" today!